“Sandwich Generation” caregivers are adults who provide care for both their elder parents and their children at the same time. Maintaining close ties with younger and older family members can be immensely rewarding, but it can also take a serious toll. The stress of dedicating one’s time, energy and resources to dual caregiving responsibilities, on top of regular personal and professional priorities, can lead to depression, financial hardship and declining health. This is a massive issue that continues to be pervasive as we enter into a new year. According to the National Caregiving Alliance, almost thirteen million Americans are currently caring for their children and parents. Sandwich adults are typically between the ages of forty and fifty years old, and work full-time. In addition to often being unpaid, constant multi-tasking can be exhausting for these caregivers. Unfortunately, it may cause all kinds of negative impacts on multi-generational caregivers’ careers, finances and health, among other areas. About one-in-seven middle-aged adults, or 15 percent, is currently providing financial support to both an aging parent and a child. Among all adults with at least one parent age 65 or older, 30 percent say their parent or parents need help to handle their affairs or care for themselves. About half of all adults ages 40-59 provided some financial support to at least one child or adult-child in the past year, with another 27 percent providing primary support. Among all adults with a living parent age 65 or older, 35 percent say that their parent or parents frequently rely on them for emotional support. Members of the Sandwich Generation are more likely to struggle to find a healthy work-life balance than non-sandwich adults, for obvious reasons. Allowing for a flexible schedule and enlisting help from family members can be valuable coping strategies. Most Sandwich Caregivers also do not anticipate their dual care responsibilities until their parents are in advanced age. While understandable, research shows that early planning, especially financial planning, can help alleviate later sandwich pressures. 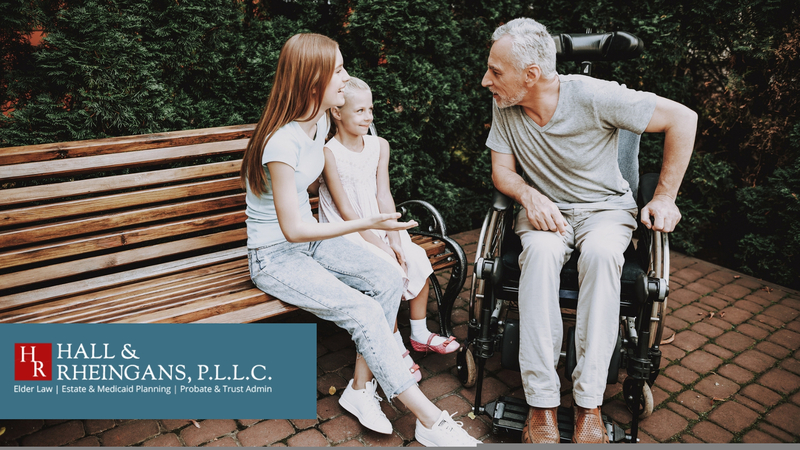 We know the challenges that you face and we can offer solutions to help, whether you are an Older American living in Florida or a Sandwich Generation caregiver. Do not wait to talk to us and let us help you design a plan that will protect you in the new year, and in years to come.